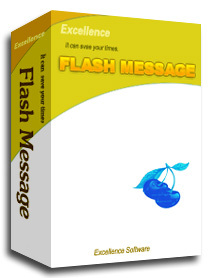 FlashMessage is a handy tool that help you rapidly copy the message to where you want to paste. It allows you quickly paste your message to the text in an e-mail, document, chat room conversation and blog from the software. quickly paste your message to the text in an e-mail, document, chat room conversation and blog. Very easy and friendly interface.